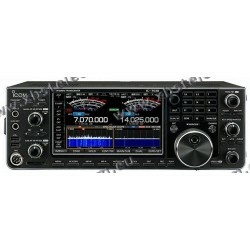 All modes: CW, AM, FM, SSB, Digital modes (Packet, PSK31, RTTY and C4FM) All bands MF/HF/VHF/UHF with 100W (HF) or 50W (VHF/UHF)Accessories included : Microphone (MH-31A8J) DC power cord Fuss (25A) English manuals 3 years warranty card from Yaesu Comparison with IC-7300:. HF / 50MHZ, 100 W, 99 Channels, all modes, with 7 "color TFT touch screen with spectrum analyzer, dual watch, FPGA for direct conversion, USB ports, Ethernet port, SD card for recording, capture screen, log, etc. The advanced FT2DE is loaded with various new features. 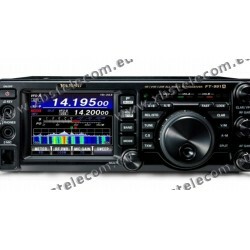 The FTM-400DE is the first mobile introduced to be a fully compatable radio partner for use on the YAESU System Fusion Dual Mode system. Compared to other digital modulation schemes within FDMA, C4FM has excellent communication quality (BER: Bit Error Rate characteristics). 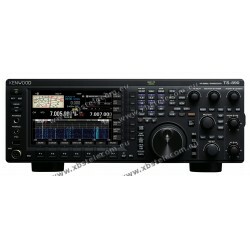 The new Yaesu FT-DX3000 transceiverA built-in 4.3-in TFT wide full color high resolution display and a High Speed Spectrum scope.The FT-DX3000D requires 13.8 VDC at 23 amps.Dimension: 14.4 x 4.5 x 12.4 inches - 10 kg. Card payment without additional cost. Discount for payment by bank wire. 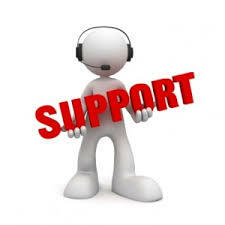 XBS Telecom sa, has been specializing since 2006, more than ten years, in the sale of telecommunications equipment. 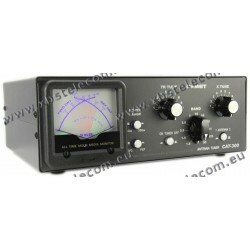 These are equipment for radio amateurs, on the HF frequency bands (135Khz to 30Mhz), VHF (50Mhz, 70Mhz, 2M - 144Mhz), UHF (70cm - 430Mhz), equipment "Marine" on the Frequency band for sea professionals, without a license (PMR446, CB or DPMR446 walkie-talkie type), etc. We offer unbeatable prices for all major brands in transceivers like Yaesu, Icom, Kenwood, Wouxun, Recent, FlexRadio, etc., but also in amplification like SPE, Acom or RM-Italy, as well as Yagi antennas (beams / Directives) from ITA, Cushcraft, Diamond, Optibeam, Sirio , etc., vertical, delta-loop or active antennas. Finally, we offer all the accessories, cables, power supplies and measuring devices necessary for the installation of your shack. 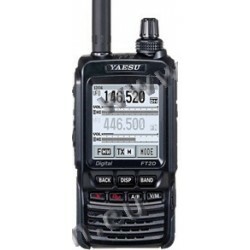 The term "base stations" refers to fixed, large-scale tranceivers with capacities up to 100W or 200W with extended functionality and complex filters such as the Yaesu FT-991A, FTDX-1200, FTDX -3000, FT-450, ICOM IC-7300, IC-7851, IC-7610 or the Kenwood TS-990S, TS-590SG. 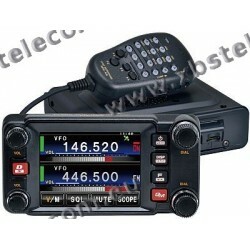 The term "mobile stations" refers to devices installed in a vehicle, boat, or aircraft, such as ICOM IC-7100, IC-5100E, Yaesu FTM-100DE, FTM-400XDE, FT-857D, Kenwood TS-480, TMV-71E, and more. "Handheld device" means small, low-power (0.5W to 10W) battery-powered (eg lithium-ion) transceivers that can be carried at your belt, like the Yaesu FT-2DE, FT-70DE, ICOM ID-51E plus, Kenwood TH-D74E or RECENT RS-589, RS-629D, RS-460S. 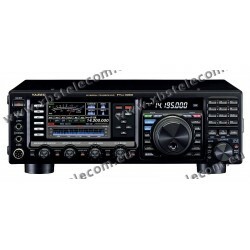 Whether you are attracted to digital transmissions such as DMR, C4FM (Yaesu fusion) or D-Star, or analog transmission, whether you are plugged in "base station", mobile transceivers, or portable transceivers, we have the hardware , skills and experience in addition to the best prices. Thanks to optimized operating costs and a tense-flow stock management, XBS Telecom sa offers the latest radio-telecommunications equipment, always at the best prices on the market.. 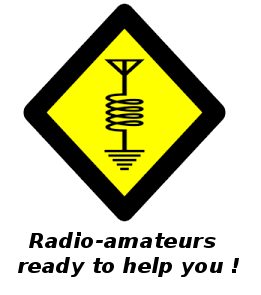 Founded by licensed radio-amateurs and through its sponsorship links to HAM clubs, XBS Telecom also seeks to promote the world of amateur radio, knowledge of radio transmissions, and in general telecommunication engineering, while building close ties with the electronics industry. To do this, we offer special discounts to all members of the sponsored clubs, and in particular to our privileged partner R.E.E.C. asbl.